Obituary for Gwendolyn Elaine Ford | Bruce & Stiff Funeral Home, Ltd.
Gwendolyn Elaine Ford (Gwen) departed this life on September 13, 2018 in Farmville Rehabilitation Center, Farmville, VA after an extended illness. Gwen was the daughter of the late James (Duck) and Alberta Hughes Ford, born May 15, 1958 in Washington, D.C.
Education was received in Washington school system. She worked in Washington school system. Later years Gwen moved to Virginia and was employed in the Health system until her illness. At an early age, Gwen joined the Triumph Baptist Church, Darlington Heights, VA and she maintained membership until her illness. 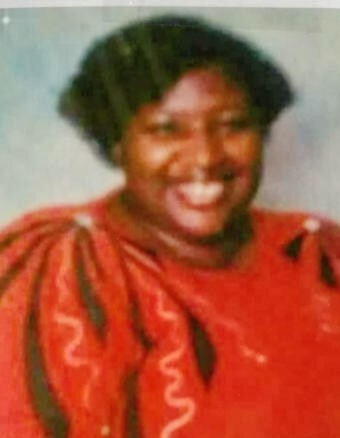 To cherish her memories: two sons; Corey Johnson (Naila) of Woodbridge, VA., Kenneth Ford (Rease) of Pamplin, VA; one sister, Dawn Ford, Pamplin, VA.; one brother, James Ford (Jim), Pamplin, VA; grand-children; Corey Jr. (CJ), James Johnson of Woodbridge, VA; Lil Kenny, Rayquan and Monta of Pamplin, VA; two foster children, Alterik and Miashanique; aunts, Rosalee Walker (Colonel), Sarah Ford Majette of Wingdale, NY, Clara Ford, Knoxville, TN; uncles, Harry Ford (Cora) of Wingdale, NY, Woodrow Hughes (Doris) of Newark, NJ; two special nephews, Turner and Juwan Ford; a VERY special friend, Stanley Baker (Bojack), two other special friends; Adrien Hailey and Phyllis Patterson, and a host of nieces, nephews, cousins and friends.